Anime has gained great popularity in the world for its unique expressiveness in contrast to western animation. OLM Digital, a digital production company in Tokyo, keeps trying new anime styles, making the Pokémon movies over 15 years. This session presents the company’s various works in 2D/3D hybrid anime, 3DCG, S3D anime and live-action films. It focuses on how the anime spirit of OLM Digital is applied to various visual forms. 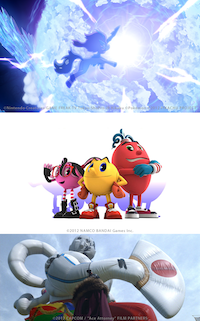 The brand-new Pac-Man animated TV series, a collaborative work with Sprite Animation Studios, is also one of the highlights of this session.